Cactus Club is hoping its grilled tuna club will pass the sniff test among discerning Toronto foodies. Twenty years ago, it would have been inconceivable for a popular chain restaurant to spend an estimated (and rumoured) $16 million on a single buildout—or hire a service director and sommelier with the pedigree of Le Goff, who hails from the Loire Valley and polished his oenophilic knowledge and Gallic charm at such fine-dining rooms as the now-defunct Lumière in Vancouver and Daniel Boulud’s outpost in Singapore. But that was then, and “premium casual” dining has been ascendant ever since, with Cactus Club, Joey and Earls growing from their gimmicky, beer-and-burger, happy-hour roots into sleek rooms full of surprisingly good food, well-priced alcohol, rigorousy trained staff and carefully turned interiors. All three chains ultimately owe their existence to Leroy Earl “Bus” Fuller, the 84-year-old father of Stan, 60, who oversees Earls, and Jeff, 47, who runs Joey (sons Clay, 58, and Stewart, 50, aren’t active in the business). The Fullers have other dining properties and are also partners—with founder and president Richard Jaffray—in Cactus Club. Bus Fuller’s genius was to identify the niche between fine dining circa 1980 (white linen, snooty waiters, cherries jubilee) and family-oriented chain restaurants (burgers and BLTs, crayon packs for the kids). 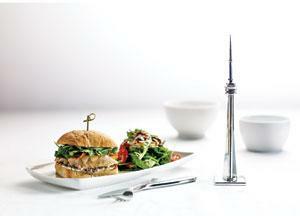 Think of the Fuller strategy as the culinary equivalent of the Liberal Party’s in B.C. : seize the middle ground, then widen its boundaries. Fine dining has waned in Vancouver (Il Giardino is the latest casualty), and cheap and cheerful (from Downtown Eastside startups to the fleet of food trucks) is all the rage. In between those two poles, popping up like chanterelles, are the expertly branded monuments to Bus Fuller’s foresight. The patriarch’s other inspiration was to set his sons in competition with one another, to take advantage of his wisdom (and the volume discounts of a combined front) as they developed their individual concepts. So successful has the strategy been that the three premium-casual chains have captured a sizable portion of the dining-out dollar in Vancouver. Cactus Club alone has seven locations, with more than 1,800 seats, all west of Cambie Street. The market here is saturated. Where to next? 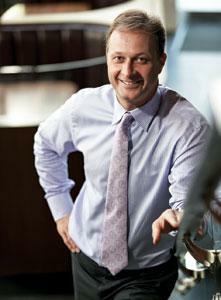 The Fullers, like B.C.-based companies in many sectors, are looking east. Older Western-based chains like Boston Pizza, Milestones and The Keg set up shop in Toronto long ago. Several Japanese chains familiar to Vancouverites—Guu, Zakkushi, Hapa Izakaya and Raijin Ramen—have done so more recently. The premium-casual chains are now following suit. The fight is on for the best locations—a key determinant of success—and the stakes are high. Toronto is the fourth-largest city in North America, with a vibrant culinary culture, yet most Torontonians still think of chain restaurants as sacrificing quality to convenient value. Will premium casual catch on in such a competitive market? The answer, if early indications are reliable, is a resounding yes. 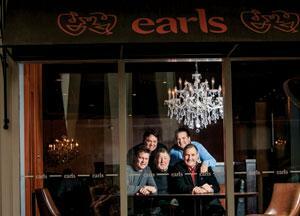 Of Earls’ 65 locations, the one at King and York in Toronto, which opened in 2011, makes the most money. Joey has three Toronto locations up and running (and another, in suburban Markham, north of the city, set to open as you read this), and they’re all among the best-performing of the chain’s 23 restaurants. Cactus Club’s first Toronto location—a mammoth 10,000-square-foot, two-storey undertaking at First Canadian Place in the business district—is due to open in 2014. One thing Nuttall-Smith—who recalls eating at Cactus Club as a UBC student in the early 1990s—may fail to credit is the notably better fare these days. The Cactus menu is overseen by Rob Feenie, whom Jaffray cleverly hired at a time of turmoil in the Iron Chef’s life, and who’s taught the Cactus brigades how to nail dishes like Hoisin Short Rib and Sablefish with Shiitake Mushrooms in Peking Duck Broth. 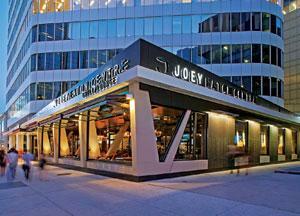 Joey restaurant at Toronto's Eaton Centre. 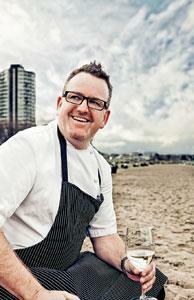 Joey, under executive chef Chris Mills, has similarly elevated its food program. Mills has a resumé that includes the Bocuse d’Or competition, a spot on Iron Chef Japan, two guest appearances at James Beard House in New York and a stint at the esteemed River Café in London. An ardent traveller, he seeks inspiration at every turn and he’s given Joey’s menu an eclectic appeal by including everything from Japanese Gyoza and Baja Fish Tacos to Bombay Butter Chicken and Sicilian Prawn Linguini. Does Earls have specific growth targets in Toronto? “That’s not how we do our corporate planning,” says Fuller. 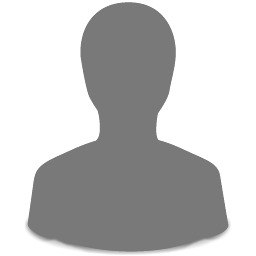 “You know: fill up the pipeline, open x number of locations by a certain date. Because we’re private, we don’t have that quarter-by-quarter pressure. It’s totally dependent on finding the locations. Leroy Earl, Stewart and Stan. With 60 locations in Canada, five in the U.S. and annual revenues exceeding $250 million, Earls—like Stan himself—is the big brother. If younger siblings Joey and Cactus are nipping at his heels, he has no one to blame but himself: half the culinary talent in Western Canada started out at an Earls location, including Jeff Fuller and the Jessa twins—Al, now the COO of Joey, and Mo, now president of Earls. Richard Jaffray also worked at Earls before he asked Stan Fuller for a letter of reference and opened his own cosy, 900-square-foot place, Café Cucamonga, on Broadway near Oak in 1986. Jaffray and his then-partner Scott Morison (who now runs the Browns Social House chain) worked their tails off, selling cappuccino, frozen yogurt, ice cream, salads and sandwiches. The little business thrived. A couple of years later, at a seminar at BCIT, Jaffray again crossed paths with Stan Fuller. Not long afterwards, Fuller dropped by Café Cucamonga, liked what he saw and began talking to Jaffray about going in together on a new concept—a full-service restaurant that would seize the opportunity Earls was creating as it focused on bigger, more expensive locations. Americans also tend to view serious eating and serious drinking as separate pleasures: the concept of a quality restaurant and a quality bar under one roof, pioneered by Earls and replicated by Joey and Cactus Club, is only just starting to take hold in the U.S. So the premium-casual model will need to be carefully altered, or American consumers will need to be gently educated. 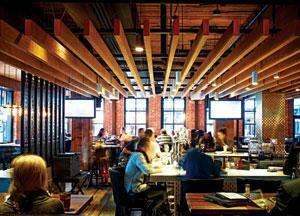 All three chains keep abreast of dining trends and consumer habits in North American cities. Indeed, at a popular restaurant in Chicago a couple of years ago, a delegation from Earls looked up from dinner to see a familiar group taking their seats at a table across the room: a delegation from Joey. It wasn’t the first time the chains have crossed paths and, as they scout locations in Toronto and elsewhere, it probably won’t be the last. In Toronto, real-estate prices are also going stratospheric. Condos are being built at a furious rate; the downtown is a jungle of cranes. If Jaffray’s real-estate theory is correct, that’s just more good news for the Western invaders. Having changed the game in Vancouver, they seem perfectly positioned to do the same in Toronto—and beyond. The stereotype of West Coasters as laid-back, yoga-loving, crunchy-granola types is no longer negative. A couple of B.C. 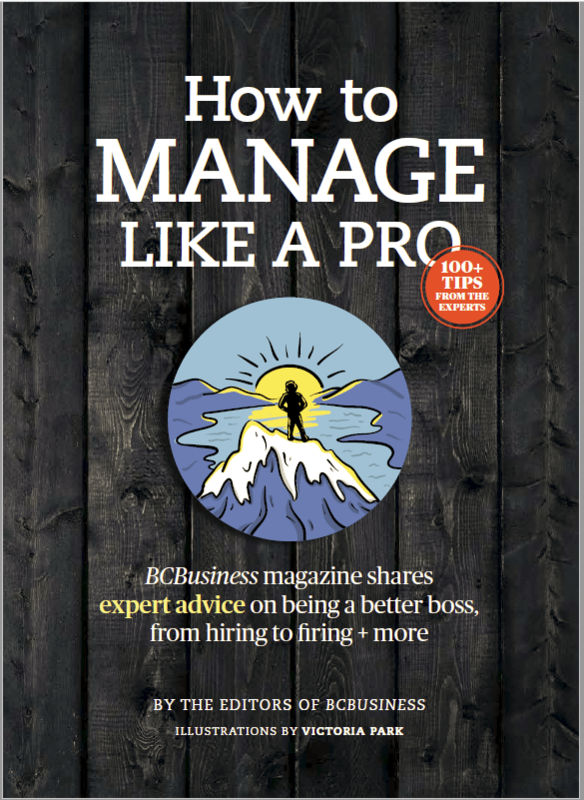 companies are expecting to export not only their services, but also the idea of the relaxed B.C. lifestyle. Yoga studio chain Pure Freedom YYoga Centers BC Inc. announced earlier this year that it would be opening its first location in Toronto on Queen Street West. The 10,000-square-foot space is one of the largest in the chain and aims to differentiate itself from nearby studios by offering “an experience” rather than just classes. Terry McBride, CEO and co-founder of YYoga, pushed for the chain’s first Toronto location after finding it difficult to practise yoga comfortably while in the city. The centre’s variety of classes and different forms of yoga offered along with high-end amenities (including an infrared sauna, showers and towel service) may leave other studios in the area quivering in their yoga pants. McBride says YYoga will likely open a second Toronto studio and then will shift its focus to Calgary. Another Vancouver-headquartered yoga studio has already followed in YYoga’s footsteps. The Chopra Yoga Center recently opened its second studio at Queens Quay in downtown Toronto. The centres base their practices on the teachings of self-help guru and best-selling author Deepak Chopra. Of the B.C. retail brands that have found success back east—such as Lululemon, Aritzia, Urban Barn and MEC—none made its initial move to Toronto in recent years. Gray says retailers are instead focusing on “new omni-concepts,” like Clearly Contacts’ foray into the bricks-and-mortar world with its first physical store in Vancouver, and Indochino’s Traveling Tailor pop-up shops. While Toronto isn’t devoid of B.C.-based brands, its roster of West Coast retail concepts is more likely to dwindle than grow as the competitive landscape keeps B.C. brands at bay while they focus on making a regional impact and expanding their online presence. For a young technology company, an East Coast presence is a rite of passage, says Andrew Reid, founder and CEO of Vision Critical, a market research software-maker headquartered in Vancouver. Reid opened up his company’s second office in Toronto, its North American sales hub and services centre, eight years ago. “We’re a technology product company but we’ve also got a services side to our business,” he says. When Vision Critical started scouting for its East Coast digs, the company opted for a highrise office space at the corner of Bloor and Yonge over cheaper square footage in Markham or Mississauga. “You can hire better talent, it’s a statement to the clients you’re engaging that you are serious, that you’re at an address that is approximate to other major brands downtown,” says Reid. Nearly every major consumer goods company that Vision Critical works with—including Kraft, General Mills and Procter and Gamble—have their Canadian head offices in the Greater Toronto area. The Toronto office, which employs around 120, is also home to the company’s chief financial officer, North American sales team and its operational HQ. While it’s still across the lake from its biggest market, a shared time zone and one-hour flight to Manhattan make Hogtown a junction for a former local startup with global ambitions. For companies intent on dominating a niche and serious about sticking to their growth plan, a robust Toronto presence is implied. At least that’s the conclusion for Vancouver-based TwentyTen Group, a “strategic marketing, sports and entertainment company” that launched in early 2011 as a way to offer the marketplace the best practices established from marketing the 2010 Vancouver Winter Olympics. “Toronto was always in our plans,” says founder and managing partner Andrea Shaw. “The Winter Games meant we had immediate business in Vancouver and had to get our sea legs here.” But soon enough, calls started coming in from the corporate HQs on Bay and Bloor streets, interested to recreate the magic of the Olympics hosted not by Vancouver, but all of Canada. Once a company has that sort of demand, the pressure is on to make it easier to do business. So in April, TwentyTen Group opened a full office in downtown Toronto and currently has 11 employees in each city. Having cut her teeth in the Toronto marketing industry in the ’80s, Shaw splits her time between both offices but calls Vancouver home. And then it becomes crystal clear why she lives where she does.